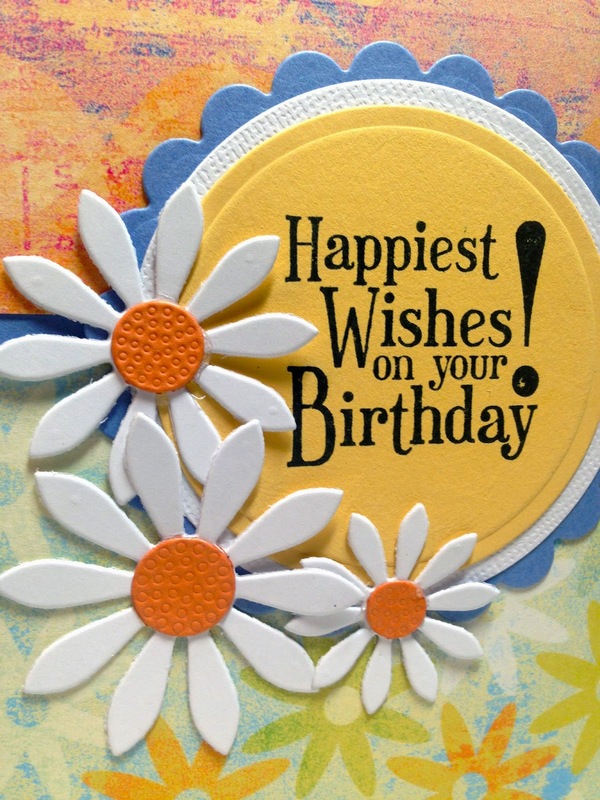 Amy's Creative Pursuits: Happiest Wishes! Hello! I have a cheerful birthday card to share with you today. I used a sentiment from SU! 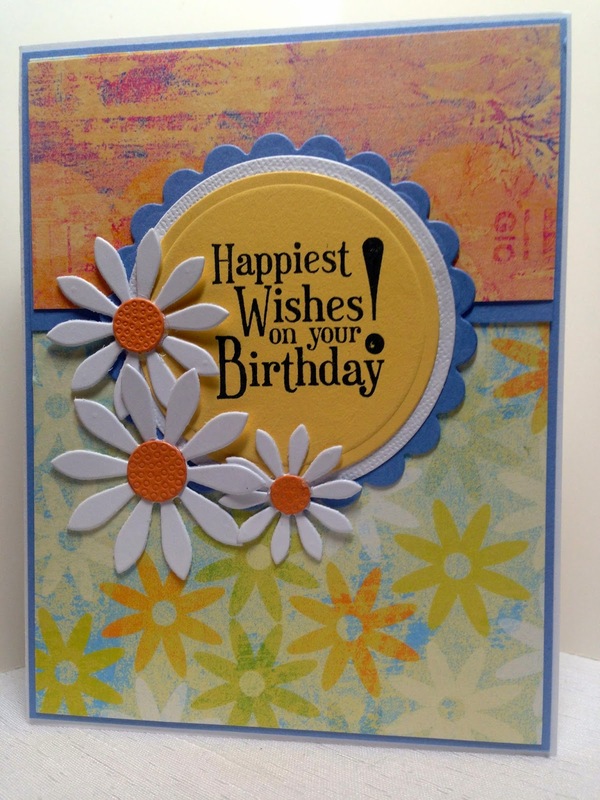 'Birthday Wishes' as my main image, and added some white daisies cut out with an MFT die for embellishment. My sketch is by Maren Benedict and the paper is from DCWV 'Pocketful Full of Posies'. Don't you just love how the daisies in the paper match the die cut daises? Such a sweet and simple card with a 'wow' impact. I love easy, yet high quality hand made cards, don't you? Just beautiful Amy, love how the daisies match the paper. Really pretty colors too!